Keep yourself safe by understanding nighttime driving dangers and following these simple tips to avoid them. There is one time of day that is significantly more dangerous than the others. At night a disproportionate amount of accidents occur despite the fact that there are fewer cars on the road. Below, we explain why this takes place and what you can do about it. One of the top factors that makes night driving so dangerous is lack of visibility. When a driver is navigating the roads, giving their full attention is imperative. Unfortunately, when driving at night, even an attentive driver will miss things due to the lack of light. This could mean getting into a collision with another car, hitting a pedestrian, or some other tragic result. The first thing you should understand is that alcohol plays a role in a significant portion of auto accidents. Second, realize that the majority of drunk drivers are out at night, not in the day. The reason for this is that people usually drink and drive after a trip to a bar or restaurant, both of which typically take place at night. When the sun goes down, the drunk drivers come out, and the road becomes much less safe. By the time night comes, most people have been awake for at least ten hours. Because of this, they are fatigued and at risk of driving poorly. A drowsy driver is similar to a drunk driver in that their reaction time drops, they get distracted easily, and they make risky driving maneuvers. This is especially true of semi-truck drivers, who often drive through the night. Of course, the best way to stay safe at night is to not drive at all. Unfortunately, this isn’t feasible in many situations. If you need to drive at night, there are a few best practices that you should follow. Increase Following Distance – Whether a driver is drunk, fatigued, or has their vision impaired, there is a good chance that they will make sudden maneuvers. When they do, you want to have as much time as possible to stop or evade them. For this reason, you should increase your following distance significantly. Resist Distractions – Between the low visibility you’ll experience and the impairment of other drivers, the road needs your full attention throughout your drive. Because of this, you should resist all distractions. This includes phone calls, texting, eating, and any other activity that takes your attention away from driving. Use Your Headlights – Though this sounds obvious, you’d be amazed at how many people forget to turn on their headlights. To avoid this, do a quick check to make sure they are on every time you drive at night or utilize the auto-sensors that some vehicles have. 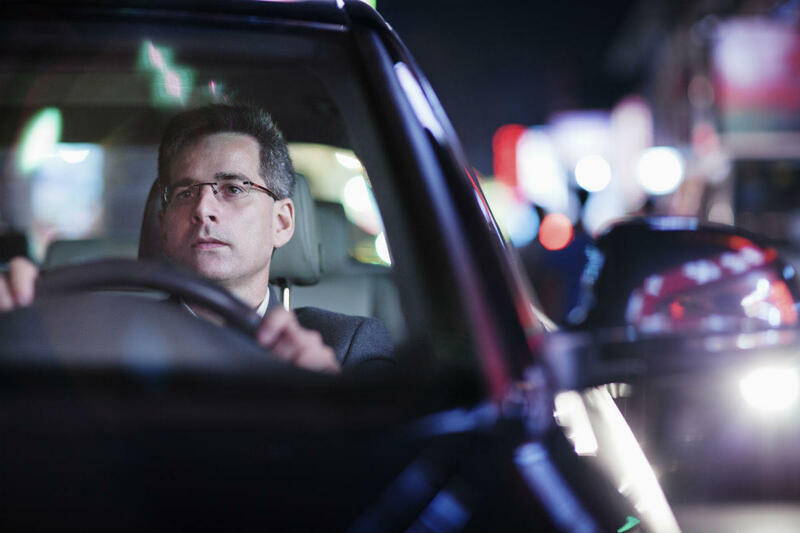 Though the night is a dangerous time to drive, you can keep yourself safe by understanding nighttime driving dangers and following a few simple tips to avoid them. Still, you could get into an unavoidable accident. If this is the case, don’t hesitate to give us a call 24/7 at (314) 361-4242 for FREE legal advice.